How many times have you opened an email from a brand you signed up to follow, only to be disappointed that it’s yet another sales email? Or that there’s no value to scrape out of it at all? That’s the problem. 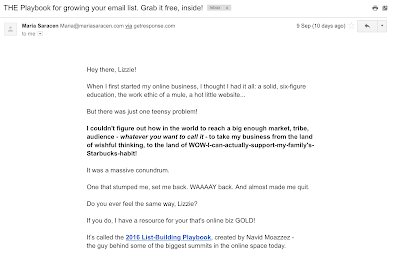 A lot of people think that once they’ve got subscribers on their list, they can start pummeling them with buy, buy, buy emails. However, the best kind of list isn’t the biggest kind of list. It’s actually a list where you engage subscribers, filled with people who follow through with your call-to-actions, reply when they feel moved to do so, and generally become ambassadors for your brand. 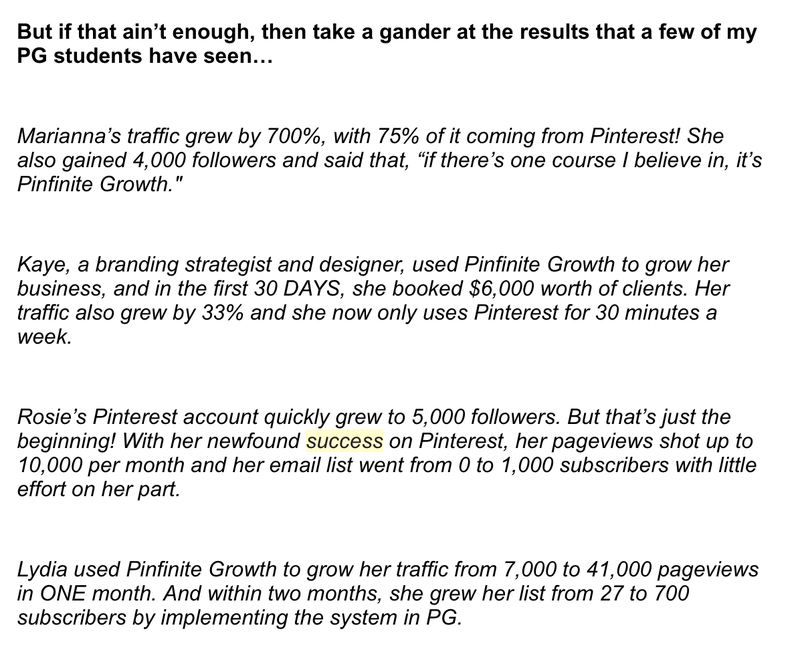 It doesn’t happen overnight, though, building an engaged list. Instead, it takes some nurturing – you wouldn’t expect a complete stranger in the street to suddenly start singing your praises from the rooftop, so don’t expect the same from your subscribers. Think of it like dating. You don’t want to be that person who talks about themselves the whole time, right? You want to take your subscriber out for coffee. Get to know them, start a conversation with them, and make them feel special. So how do you do that? 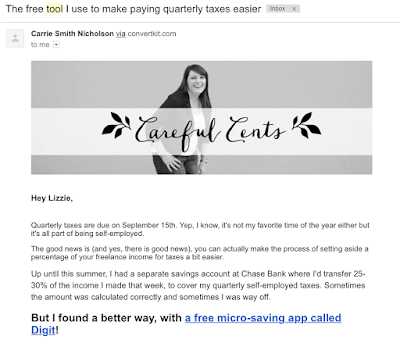 By engaging them with certain types of email. Did you know that people are more likely to listen to someone if they learn something from them? This is key research you should tap into in your emails. Educating your subscribers is showing them that you’re a person to trust. 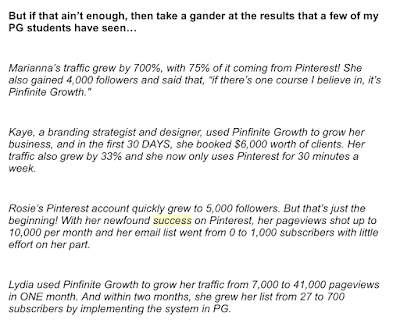 It is showing them that you’re an authority on your niche and that you know how to help them. Solutions often differ from person to person, so it can be a stab in the dark offering up a solution that works for you, but that might not work for Jim down the road. What you can do, though, is share the tools you use to get that solution so your subscribers know the tactics you used to get there. 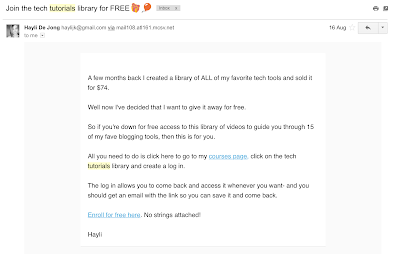 Ideally, you want to include a selection of paid and free tools so you can connect with all your subscribers and help them reach a specific goal or outcome. Many brands leave solid gold unturned because they don’t ask their subscribers to hit reply and share their struggles, problems, or successes. This is a key way you can interact with your audience while gaining an understanding of how you can help and educate them. People learn best by either watching someone else do the task or by doing it themselves and learning from trial and error. 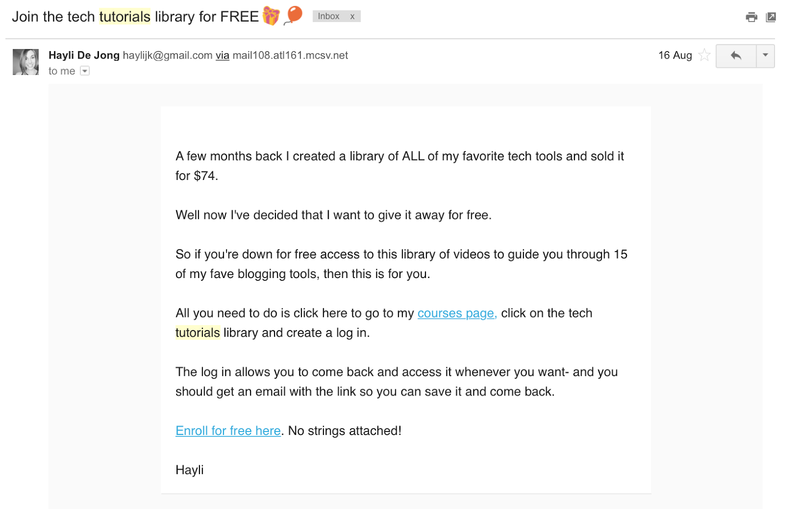 Tutorials are a great way to tap into this research and to give your subscribers a step-by-step guide to a specific system that will help them reach a certain outcome. Why would anyone sign up to be on your list if they can get all the information you send for free on your blog, website, or social media? Remember the dating analogy? You want to make your subscribers feel special, not like you’re throwing your charms out there for anyone to grab hold of. This means giving them exclusive content that only subscribers have access to, and creating an environment that makes them feel like part of a community. Jeff Goins does this well. By asking your subscribers for a favor, you’re essentially telling them that this is a two-way relationship and you both have equal power. 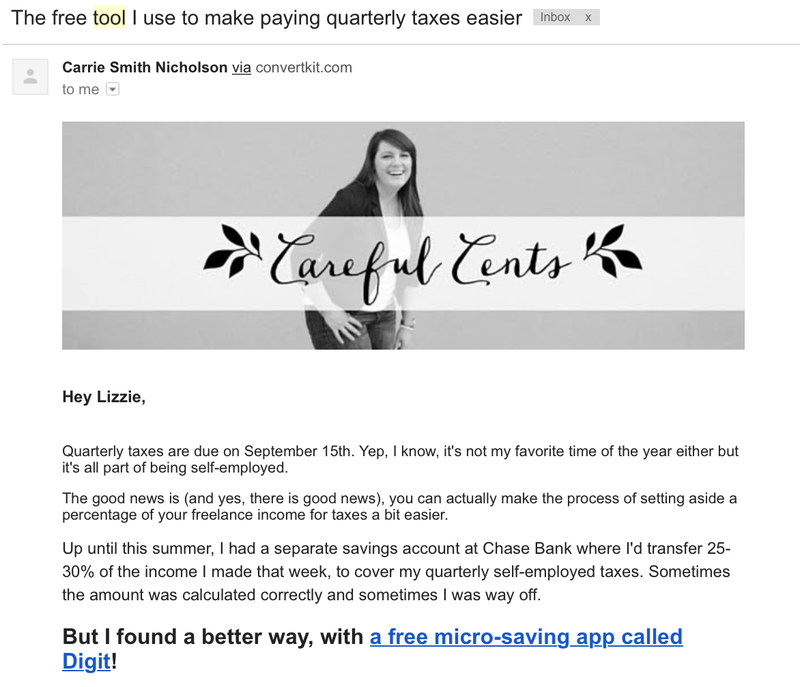 As you build up a relationship with your subscribers, they’ll actively want to help you out – that is the sign of an engaged email list. Treating your subscribers is a surefire way to make them feel special; like they’re part of an insider club that’s full of awesome perks. Consider sending them freebies, discounts that only they can take advantage of, exclusive access to a private subscriber-only event, or exclusive content you’ve created especially for your list. Not only will this help them feel like you care about them (which is what we all strive for as humans, right? ), but you’ll also show that you’re not a “me, me, me” kind of person who only cares about themselves. As well as educating and providing exclusive content to your list, you also want to entertain them. This will help them remember you, and will encourage them to look forward to your emails landing in their inbox. People love getting a backstage pass to see how other people live their lives or carry out certain tasks. 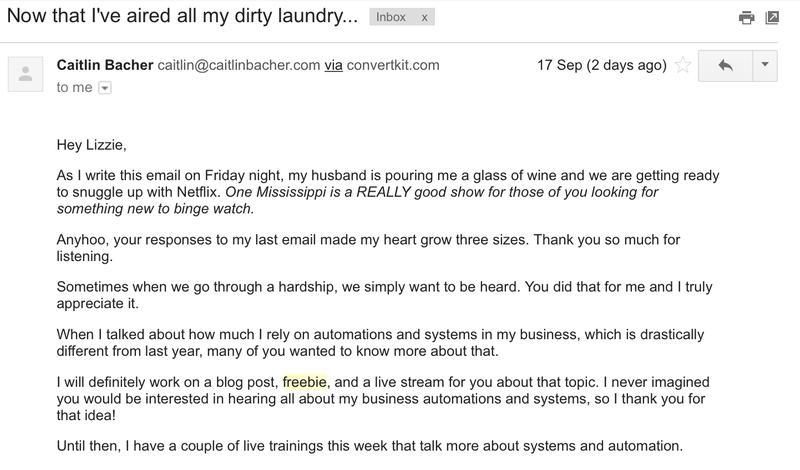 Drawing back the curtains on your business shows your human side and allows for a deeper connection to be created with your subscribers. 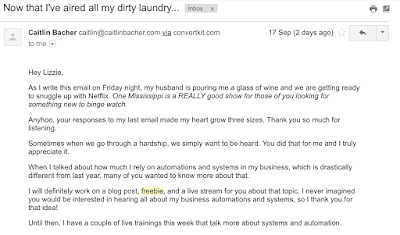 Share a snapshot of your working process, or show them what you like to do when you’re not writing awesome emails and running a successful business. As humans, we love stories, particularly stories we can relate to and resonate with. Stories build a dialogue and allow you to dig deeper into the wants, needs, and pain points of your subscribers. 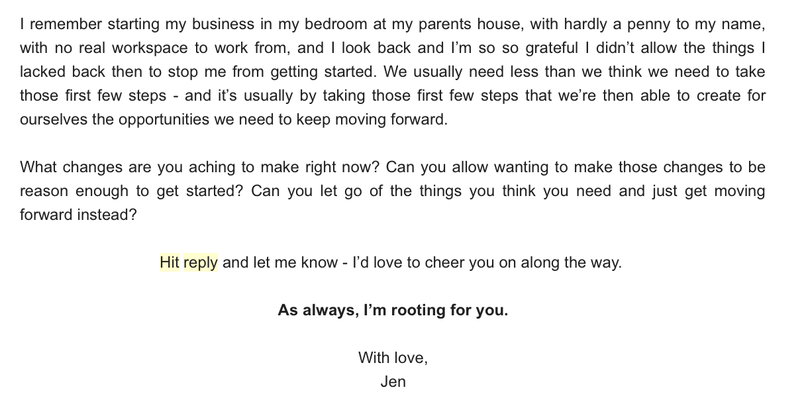 In these emails, you can delve into your backstory and how you came to be where you are now, or you can share little snippets of stories like how your trip to the supermarket that morning helped you come up with a brand new idea for automating your business. Inspiring stories always leave us with a warm fuzzy feeling, right? They also stay wedged in our mind. You can easily tap into this mentality by sending your list inspiring quotes and snippets of advice that put a fire under them. Nothing makes people want to take action more than being inspired – and an active list is an engaged one. 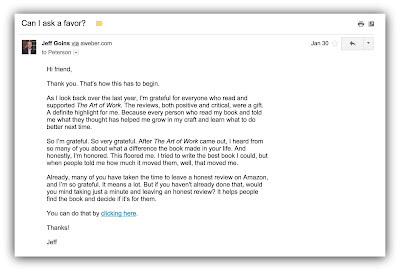 It’s no secret that people love success stories. We love reading about how successful business owners started with nothing and worked their way up. We love hearing about how a stray dog found his forever home and lived happily ever after. They make us feel like our hopes and dreams are possible, which is invaluable in an age where it seems like everything is just beyond our reach. These four types of emails form a great automated sequence, which you can easily set up in Sendlane. You can also send them as individual broadcasts when you have a new story to tell. Or, you could offer a brand new exclusive discount to offer your subscribers. 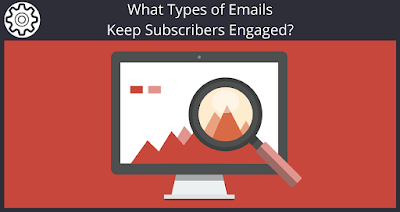 Whatever you do, remember that your subscriber should be at the forefront of every email you send. Your goal should be to connect with them, solve their problems, and help them reach their goals. Once you have this firmly wedged at the front of your mind, you’re on the right track. 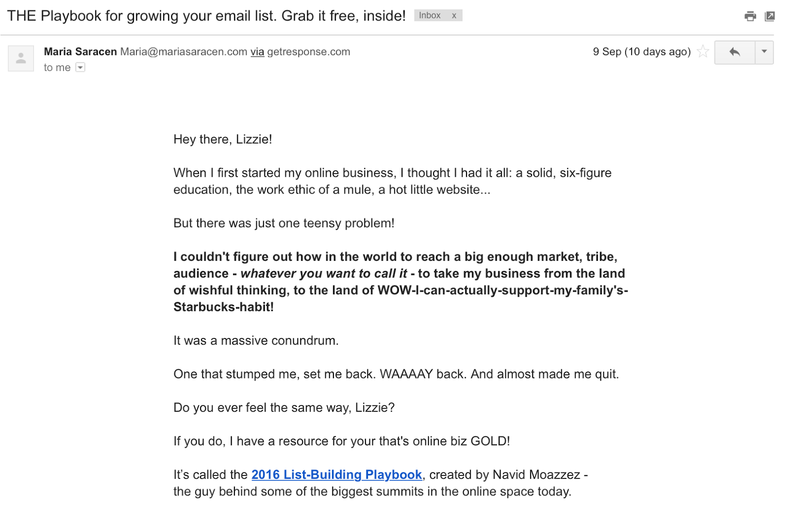 Soon you will be building a wildly engaged and connected email list – an invaluable thing for any business.